Stay at one of Temecula`s luxury wine country estates. Sangiovese Estate is complete with breathtaking views, a gorgeous landscape, and all of the amenities one would expect from a true estate. Memories of a lifetime await. From the moment your friends and family arrive at the entry gates the signs of privacy, security, elegance and luxury abound. And the property will not disappoint. Having been well loved and maintained this property exudes quality. We invite you to look closely at the videos and photos to appreciate the marble floors, complemented by fine architect. Sit by the pool, taste wine while enjoying the view or prepare a gourmet meal in the kitchen. Game Length for Championship Games will be regulation length. Pool Play games can end in a tie. All Semi-Final and/or Consolation games will proceed directly to FIFA PK’s if teams are tied at the end of regulation play. For Championship games that end in a tie at the end of regulation play. Two (2) five (5) minute overtime periods will be added. If the teams are still tied at the end of overtime, then they will proceed directly to FIFA PK’s. PayPal - Once accepted to the tournament, you will receive an email with payment instructions to pay via credit card through PayPal. You DO NOT need a PayPal account to pay online. Refunds will be made to all teams not accepted. If the tournament is cancelled due to weather or Acts of God, the date of the tournament will be rescheduled for a later date and all the accepted SWSC Spring Madness 2020 teams will be playing at the alternative date chosen or invited to play during SWSC Summer Classic 2020. No refunds will be granted for the accepted teams. Team selections are made based upon an evaluation of their record. USYS National Cup State and Regional results, as well as, results from major tournaments, league results and overall record will be used to break ties. Applications will be accepted from teams affiliated with USYSA, US Club Soccer, Super Y League, AYSO, and FIFA affiliated youth soccer associations outside of the United States. Teams must declare their affiliation on the application form. Once declared, teams will not be allowed to participate if using documentation other than from the declared affiliation. Hotel Requirements: Teams using hotel rooms are NOT required to obtain them from our approved hotels. 2019/2020 player identification cards, medical release forms, and shin guards are required for each player. 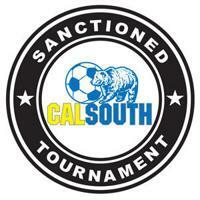 For USYS teams not affiliated with Cal South, travel papers approved by your state association are required; for US Club, AYSO, or Super Y League teams, approved team rosters must be presented. For International entrants, written permission to travel will be required from your governing body. For all teams, medical release forms are required. Every attempt will be made to adjust game schedules to accommodate individual teams or individual coaching conflicts if the Tournament Director is notified once a team is accepted. This is a Class I Tournament open to USYSA, US Club Soccer, Super Y League, AYSO, and FIFA affiliated teams. Each team is guaranteed three (3) games. Unlimited borrowed players will be allowed. The current FIFA Laws of the Game will govern all games as amended by US Club Bylaws, Rules and Regulations, and these competition rules. The Tournament Committee shall have the authority to rule on any matter pertaining to this competition. The decisions of the Tournament Committee and Referees are final and are not subject to protest. All Administrators of a team will be held responsible the actions of their players, parents, sidelines, and for submission of documents as required for all check-ins. The Tournament Committee will not hear any pleas from parents, guardians, or representatives of players with improper documents. All Administrator and player cards must be laminated. Any administrator or player whose card is not laminated will not be allowed to participate in their scheduled game until the card has been laminated. All Administrator and player cards must be presented to the referee at pre-game check in and your assigned field. Only licensed Coaches are allowed to be on the sidelines during the game. Referee judgment calls as defined by FIFA Laws of the Game are not eligible for protest. All games and tournament Committee decisions are final and not subject to Protest. The home team is listed first on the schedule, shall have choice of sides, shall change Jerseys if the Referee decides that there is a color conflict, and shall supply the game ball(s). Shin guards are MANDATORY during tournament play. In the event of a no show, the team does not have a minimum of seven players, or is not ready to play within 15 minutes of the games scheduled start time; the team that is late will forfeit the game. Forfeited games do not count for games played with regards to a Red Card Ejection. Games that are terminated after the start of the second (2nd) half of the official playing time (after the ball has been put into play), due to inclement weather/field conditions, or on the referee’s judgment shall be considered a complete game. The score shall not apply to play-off or championship games. Game Cards must be picked up by a team administrator at Tournament Headquarters approximately one hour prior to each game. After each scheduled game, please collect the Game Card from the referee and report your scores to the Tournament Headquarters either by coming to the Registration Tent or by texting it to 951-760-9914. Keep your game card with you at all times during the entire tournament. 1 point will be deducted from a team’s score for that game for every Red Card received. One (1) point per red card shall be deducted at the end of each game for Player/Coach's receiving red cards. Any individual receiving a Red Card other than for Violent Conduct will be suspended for the remainder of that game and the next game. Any individual receiving a Red Card for Violent Conduct will be suspended for the remainder of that game and the next two (2) games. If a coach is ejected, then the game can be suspended until the coach leaves the site. Any Coach or Administrator whose is ejected must remain away from the immediate area for the next scheduled game also. All Red Cards are reported to US Club and the team’s home association. Substitutions may be made, with the consent of the referee, at any stoppage in play. It is no longer mandatory to Substitute a Cautioned (Yellow Carded) player. 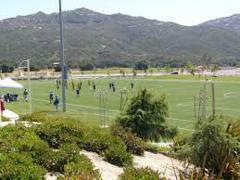 Application registration and scheduling software provided by GotSoccer. Payment will be made through Got soccer . You will receive an email after application has been accepted with payment instructions.